Red tide, an unusually persistent harmful algal bloom that impacted the Florida coastline this summer with waves of fish killed, was the subject of senior biology major Alexandra Sullivan’s research this fall. Sullivan researched organisms that were able to sustain life in red tide conditions in electron microscopy. As she collected, prepped and imaged water samples immediately before the organisms died, she said her project was extremely hands-on and engaging. 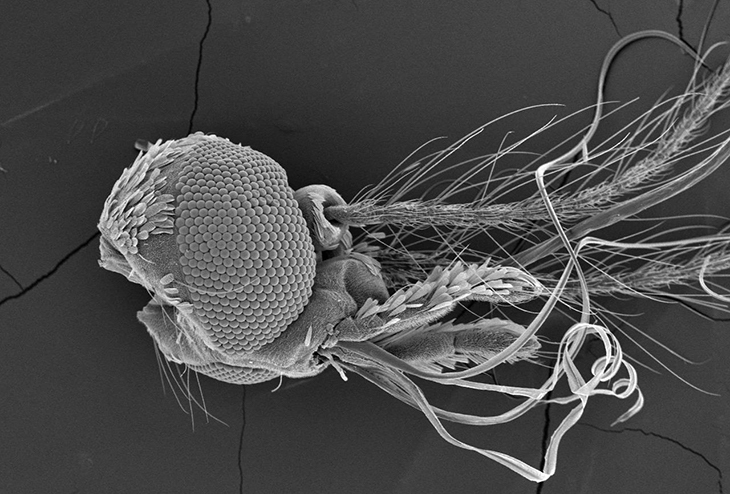 A scanning electron microscope magnifies images up to 2,000 times their size. This photo was captured by Wyatt Larrinaga ’20 of mosquito mouthparts. In the inquiry course, Electron Microscopy, students research cells, bacteria, fungi and chemical processes while generating images with an electron microscope. Stan Rice, professor of biology (now retired), pioneered the course in the mid-1990s. He purchased the University’s scanning electron microscope in 2011 using donor funds, which allows undergraduate students the rare opportunity of using this high-tech piece of equipment. Kristine White, assistant professor of biology, who took the course with Rice in 2000, taught it for the first time this semester, giving it an inquiry spin. White said unlike a normal research course, she wanted the students in her class to choose their own project topics to research for the majority of the semester. 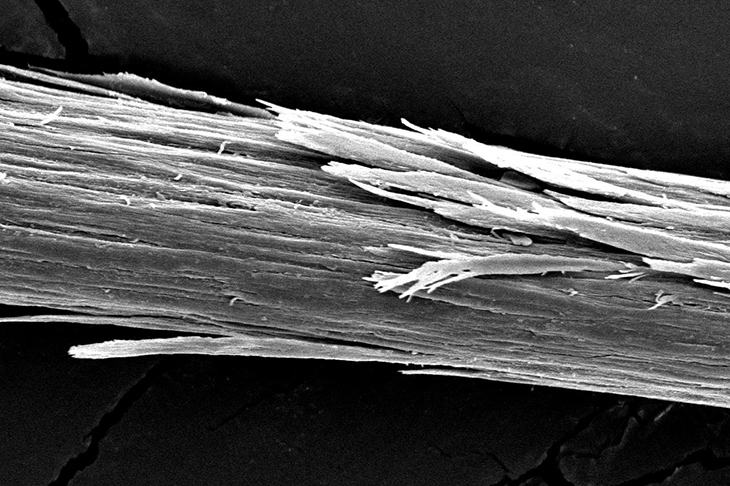 Jasmine Cherry ’18 captured an image of a hair that has been damaged. 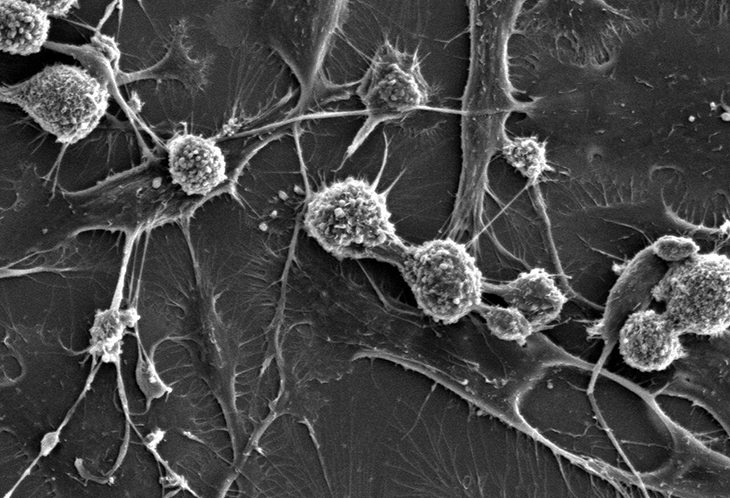 In Electron Microscopy, White said she initially begins teaching the history, theories and techniques behind the electron microscope so that her student’s get a background first, which allows them to practice on their own and hopefully master the techniques. The end goal of the course is to develop these skills into something that will hopefully become employable. By using critical thinking skills and elements of research, White said this course prepares students for the future in many ways. “In most science labs, the instructions are laid out for you. But in this course, I’m telling the students to write their own instructions. Doing these things independently is incredibly beneficial for the rest of their career as a student and as a researcher,” said White. Angelo Nicolaci ’19, a biochemistry major, examined different cancer cell lines throughout the semester and analyzed the characteristics and details in each that showed contrast from a normal cell. Angelo Nicolaci ’19, a biochemistry major, examined different cancer cell lines throughout the semester, including these metastatic prostate cancer cells. In addition, Nicolaci feels training in this area could create many opportunities for the future.